Jalandhar: Excellent design, sturdy construction, and great efficient kart of the team D.Y. Patil College of Engineering (Team: Predator) won the overall trophy for Inter-National Go Kart Championship-2014 held at LPU. 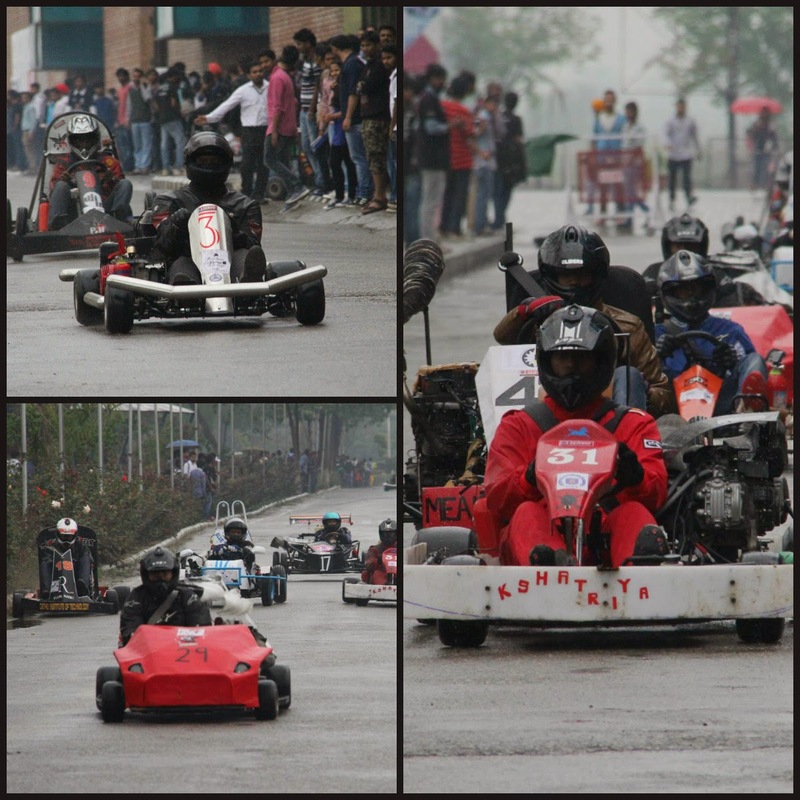 On the conclusive day, LPU Society of Automotive Engineers Collegiate Club (LSCC) had organized final racing rounds of 17 laps (near 30 kms) to be covered by the finalized go-karts. After pre-final rounds of technical, endurance and dynamic tests by a panel of reputed experts from automotive industry, 34 technically qualified teams competed in the field. The panel of judges was constituted of top officials from ISNEE, TVS, FLIGHT, ICAI, and ARAl. The participating students had themselves designed the vehicles. The final teams used engines of 100 to 125cc in their vehicles for top speed of 80 kms and an average speed of 40-50 kms per hour. On this occasion, LPU Chancellor Mr Ashok Mittal congratulated winners, final competitors and all other participants as well. Mr Mittal said: “I am happy to see massive participation at the championship from South, Maharashtra, and many parts of Asia, which has broadened the dimension of the competition. I feel that the hard work and dedication of the students and their teachers have finally paid off in one or the other form. The winner here will now showcase their strength at next level international competition in some other country.” Mr Mittal also informed that LPU students are enthusiastic towards such competitions which lead them to perfection. LPU students are now ready to soon organize another world-class event ESVC-Electric Solar Vehicles Championship, where all forms of engineering skills will be tested. During four days of the championship, many static competitions included the excellent driver’s skill of steering the vehicle on a challenging race track of tight and twisting turns. The closely running winners showcased excellent feats of competition in the last racing rounds. As and when the final races were over, the results in various categories were announced. In all, the event saw massive participation of 104 teams from engineering colleges of three nations. The competition involved world class designing, development and fabrication of vehicles under various regulations and restrictions set forth by LSCC. Excellent dynamic post and it also comprises a lot of useful facts- Thanks for valuable information. Really enjoyed reading it. Please visit my emc testing lab page and please leave comments. We have a site of sop for mechanical engineering which is really beneficial and important for the engineers. Thanks for publish this site. Wonderful Blog!!! Your post is very informative. Thank you for sharing the article with us. I definitely recommend you to find out more about causes of the civil war essay writing, because that is what our history about. I am sure that you will improve your writing skills after reading this article.